Oregon has second-fairest tax system in U.S.
Oregon’stax system takes a lot of hits, from business figures who think high income taxes discourage investment to seniors who say it’s a struggle to pay property taxes on a fixed income. 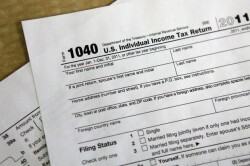 But a study from Wallet Hub, a personal finance website, says that Oregon’s tax system is the second-best in the country when it comes to following principles of fairness — as determined in a survey of adults around the country describing how much an ideal state and local tax system should take from various income groups. In large part, survey respondents say a tax system should be progressive, meaning it takes a larger bite as you move up on the income ladder. Wallet Hub says both liberal and conservative respondents agreed on that general approach, although conservatives supported slightly higher taxes than liberals on lower income groups and lower taxes than liberals on affluent taxpayers. This approach certainly fits with the approach of such groups as Citizens for Tax Justice, which has long argued that most state tax systems are too regressive. Citizens for Tax Justice is affiliated with the Institute on Taxation and Economic Policy, which provided the data on state and local taxes used by the Wallet Hub study. Oregon ranked near the top of the Wallet Hub study — it was second only to Montana — because it doesn’t have a sales tax and relies heavily on income taxes.